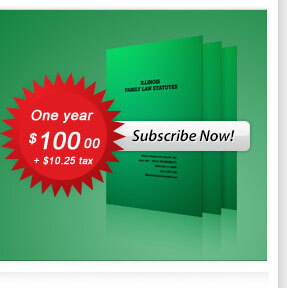 IFLR is the only comprehensive monthly reporter designed exclusively for the Illinois practitioner. 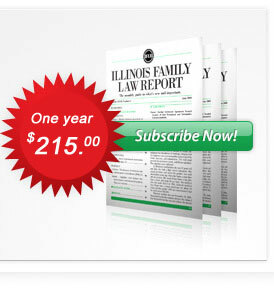 Whether you're a specialist, or an occasional family law practitioner, you probably don't have time to read all the cases or all the legislative changes, ILLINOIS FAMILY LAW REPORT does, and delivers them to you monthly! 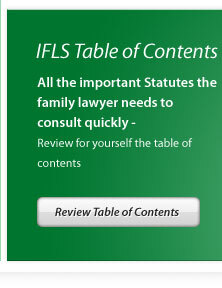 We have published the ILLINOIS FAMILY LAW STATUTES for 30 years. The handy booklet is suitable for both office and court use, and many lawyers, judges and court agencies are regular subscribers. With its timely supplements, ILLINOIS FAMILY LAW STATUTES continues its tradition of being one of the most current sources of Illinois family law statutes.